Schedule an appointment with one of our Solar Experts today. Harness the power of the sun and start creating your own renewable energy! When it comes to solar energy for your home or business, we offer the most advanced products on the market today. We can offer ground mount and roof mounted arrays as well as ground mounted two-way tracking systems. Our experienced team can help you go green and slash your energy budget in the process. As certified builders and master electricians, you can trust that your project will be done right. We are confident that our durable, high-quality systems will add to the value of your home and fit seamlessly into the aesthetics of your landscape. 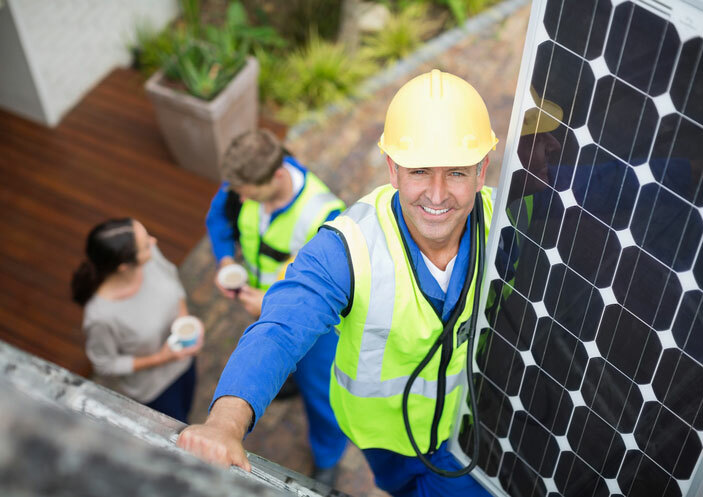 Contact us today for a consultation and find out how much you can save by going solar. Mass Renewables Inc. is among the top 100 solar energy equipment installers in the United States. Our customer service and high-quality work have earned us an A+ from the Better Business Bureau. Mass Renewables Inc. is also certified by the North American Board of Certified Energy Practitioners (NABCEP) and by the federal Occupational Safety and Health Administration (OSHA).